Keppel Seghers Ulu Pandan NEWater Plant is the second largest and the fourth NEWater plant in Singapore. In 2005, Keppel Seghers was awarded the contract to design, build, own and operate the plant under the PUB’s Public-Private-Partnership initiative, so as to meet demand from the industrial and commercial sectors in the western and central regions of Singapore. When it commenced commercial operations in March 2007, Keppel Seghers Ulu Pandan NEWater Plant was the largest NEWater plant in Singapore. 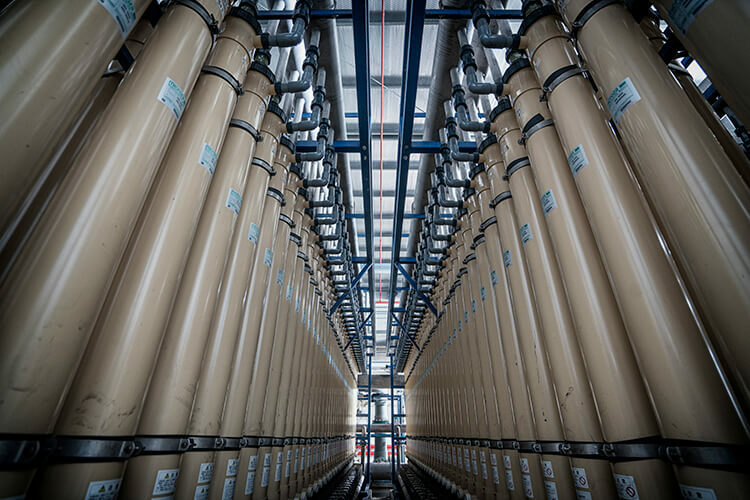 With the capacity to produce 148,000 m3 of NEWater daily, the plant also features modular design, space saving measures and energy saving features that lower operating costs. Keppel Seghers Ulu Pandan NEWater Plant features a 1 MWp solar photovoltaic (PV) installation that helps to reduce electricity consumption. Completed in 1Q 2013, the rooftop solar power plant covers about 10,000 sqm of roof space and is one of the largest in Singapore. The installation was awarded the Solar Pioneer Award in October 2012 by the Energy Innovation Programme Office (led by the Singapore Economic Development Board and Energy Market Authority).